Vehicle may be raised by positioning jack under front or rear frame rails. See Fig. 1.
engine/transmission oil pans, fuel tank or front suspension arms. Fig. 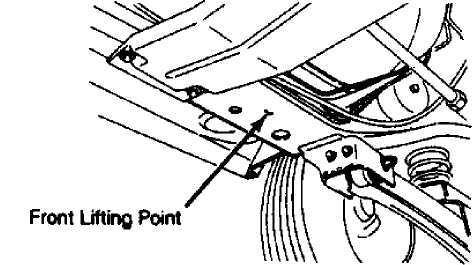 1: Identifying Front & Rear Lifting Points Courtesy of Chrysler Corp.
Park vehicle on a firm, level surface. Block tire diagonally opposite tire being changed. Place automatic transmission in Park, manual transmission in Reverse. Set parking brake. Position emergency jack under front or rear axle housing. Raise vehicle. Park vehicle on a firm, level surface. Block tire diagonally opposite tire being changed. Place automatic transmission in Park, manual transmission in Reverse. Set parking brake. Position emergency jack under front or rear axle housing "U" bolts. Raise vehicle. Vehicle may be raised on single or twin-post swiveling arm, or ramp-type drive hoists. If using swiveling arm hoist, ensure lifting pads are positioned evenly at sub-frame lift points. See Fig. 2 and Fig. 3. All hoists should be equipped with proper adapters to support vehicle at frame rails only. Fig. 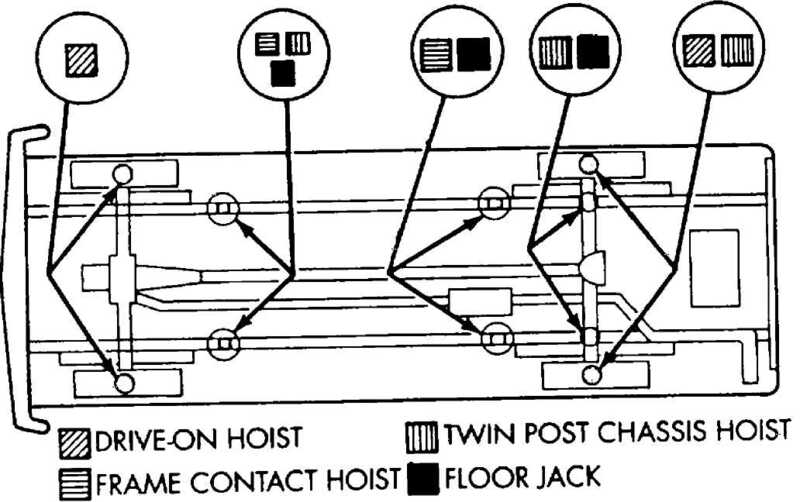 2: Hoist Lift Point Locations (Cherokee) Courtesy of Chrysler Corp. Fig. 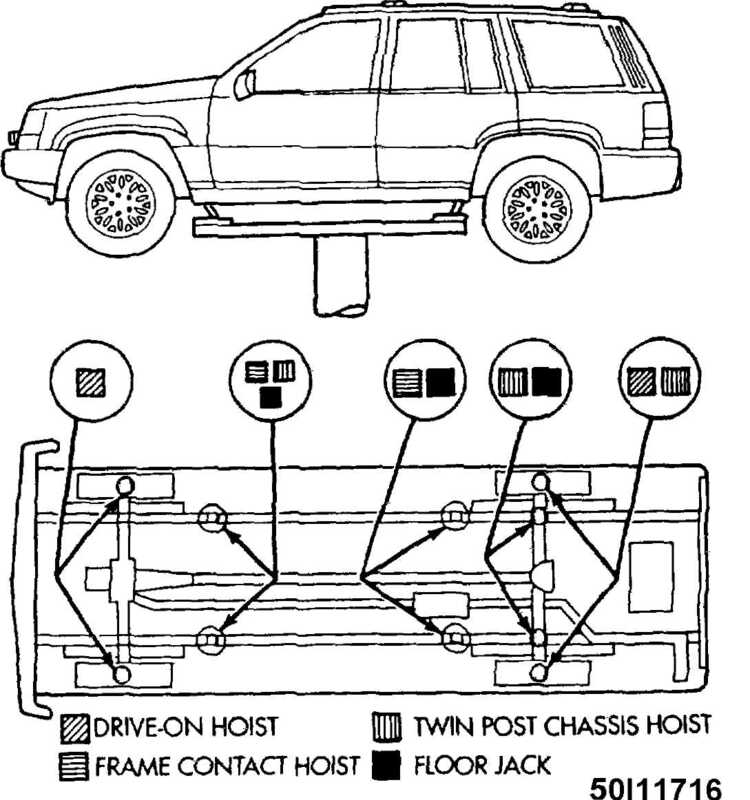 3: Identifying Hoist Lifting Points (Grand Cherokee) Courtesy of Chrysler Corp.